. إن حسن الضيافة والخدمات الراقية التي تعرف بها Accor Hotels تغني تجربتك في فندق وشقق إيبيس ملبورن. يقدم هذا الفندق العديد من الخدمات الكفيلة بإرضاء أكثر الضيوف تطلباً. لقد جهزت هذه الإقامة الفندقية بعناية فائقة لتوفر مستوى عالي من الراحة. في بعض الغرف يجد النزيل تلفزيون بشاشة مسطحة, مروحة, سياسة التدخين - غرف لغير المدخنين متاحة, مكيف هواء, تدفئة. كما أن مجموعة الخدمات الواسعة الموجودة في الفندق لضمان راحتك تترك لك الكثير من الخيارات لقضاء وقتك أثناء فترة إقامتك. يشكل فندق وشقق إيبيس ملبورن بخدماته الراقية وموقعه الممتاز، قاعدة مثالية للاستمتاع بإقامتك في المدينة. يلزم دفع مبلغ تأميني عند تسجيل الوصول؛ وذلك لتغطية الرسوم أو التلفيات -التي قد تحدث- أثناء فترة الإقامة، ويتم استرداد المبلغ عند المغادرة. هذا العقار لا يستقبل خريجي المدارس إن لم يكونوا برفقة الأهل في ذات الغرفة لذات المدة. location is great, the staff is very helpful and war, the room is a bit simple and basic, but consider the location and service, its good value of money! Always stay in Ibis Hotel whenever I visit Melbourne. The location is excellent, near to Victoria Market, eateries n tram bus stop. The staff members are friendly n helpful. The room is clean except slightly small with d exception of the basement car park. It is horrible. I have my rental car damaged while trying to drive up narrow passage up to street level the last time. This time I saw another car smashed against the wall while trying to get out to street level. As far as I have experienced, Perth Ibis Hotel is also another hotel which hotel guests will have a hard time to park their cars in the narrow car park. I used to stay at Ibis Hotel whenever I come to Melbourne. The locafion is excellent even though the room is small. Staff members are very helpful and friendly. The only setback is the entrance and exit to the car park to the basement is really very narrow. Most of the drivers will find it difficult to drive out without hitting the both side of the narrow passage. I have my car scratched the side of the wall during one of my stay and the most recent incident I saw a hotel guest also bang and scratched his car while trying to drive out of the car park. Apart from the car park problem this hotel is good for first time visitor to Melbourne. Great location. Spacious, clean and comfortable rooms. Friendly and helpful staffs. Good hotel, great value for money, great location, room cleanliness also good but the free wifi mentioned by the hotel actually limited to 500 mb for the whole stay. Location is perfect, near supermarket, eateries, malaysian eateries is delicious, menya ramen is coming with big portion for us. The hotel also just 200 m from Victoria fresh market, suggestion for breakfast variation needs upgrade, after 2 days i n a row with the same hot meal, everything is not interesting to try. should add more fresh vegetables for salad, cheese and lots of condiments for hot congee. hotel is very near to eateries, clean enough, get the one bed room apartment for the king bed size. Toiletries are not enough, should prepare your self for toothbrush and toothpaste, body lotion etc. Will absolutely come back to this hotel, especially during discount period. Thank you so much for your detailed review. 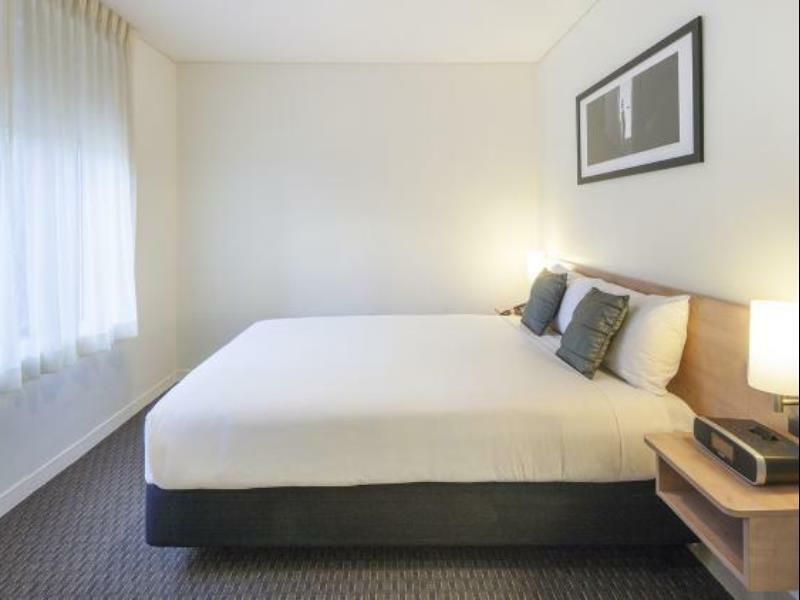 The location is quite good, just few steps away to Queen Victoria Market, the size of the room is not that big but not that small also, suitable for travelling with family of 3 maximum. There were not many staffs over there, but they were quite helpful. There were no bellboy to help us with the luggage. Overall it was OK.
Stay 1 night at IBIS Therry Street before leaving Melbourne. Overall experience quite good except 2 minor issues. No complimentary bottles water provided. The electric water boiler was rusty inside. No check done to ensure it is properly clean and replaced for guest use. Dear Lynn, Thank you for your feedback. It has been taken on board! Kinda old.. but location was good. Rooms with queen bed was spacious. Twin beds were kinda small though. Near Queen Victoria Market and walk-able to the city. Wifi was slow and not really working at times. Overall satisfactory. near fish market and Thursday market, near tram. It's a clean, comfortable n quiet hotel. V close to Queen Vic mkt, great to grab fresh n sweet fruits before flight back home. 5 min walk away from the free city tram zone. Easy pickup point for day tour operators with lots of cab available nearby. Close to QV market and tram station. Clean and spacious. Staff was not very helpful - did not take initiative to help out with our luggage bags to our rooms(there were only 2 of us (girls) carrying 6 big luggages). No free wifi. Bumping up the price by almost 100% for the GP weekend was not kind, but the location is still good. But for $300 a night I expected teabags, coffee,a fridge with goodies even if it is only beer. Staff at reception were very friendly, and helpful, all 3 I experienced! Just watch the charging because that's the big attraction of Ibis. You guys only have to walk 3 mins to the tram and arounf 5 mins to the bictoria market! what you will love too is that the tram are free! easy for us to go to the bourke street! and for you who are looking for halal restaurant, its only few step from the tram! next to the Jasper hotel! check them out! 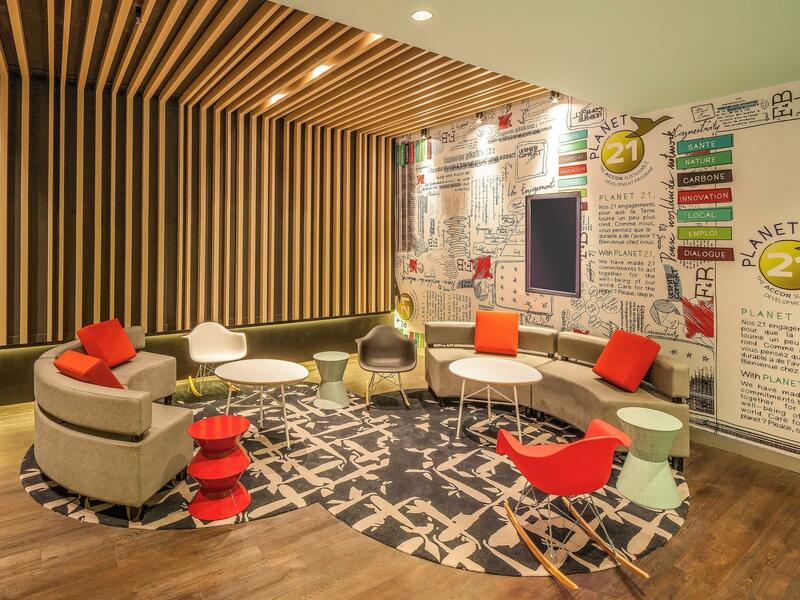 overall Ibis hotel are the best place to stay in the City area. 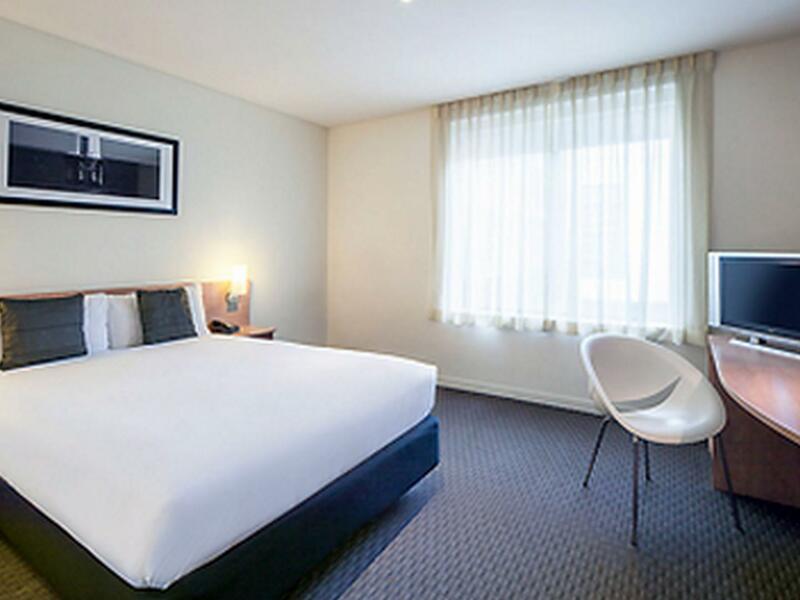 The hotel is 2 mins walk from Queen Victoria Market and close to Chinatown. It's on the free tram zone. The room is quite small though and not so value-for-money considering the price we paid (A$230). This hotel is highly recommended because the service is professional and excellent. The staff helped me to find out a watch after my check-out and returned the watch to my friend. Other than this, the location and other services is also excellent. Compared to the last time we visited this hotel which was last year, we find that the room was exactly as clean, as comfortable, and the staffs there are absolutely more than happy to welcome you there. No hassle whatsoever upon check in, during the stay and check out as well. kudos guys! 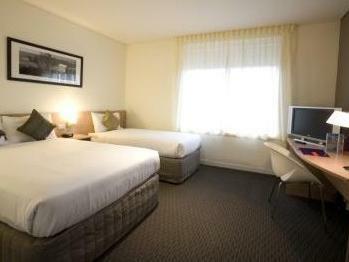 Ibis hotel is just next to Queen Victoria Market so its very convenient. Moreover there is a free tram nearby too. Mac n seven eleven is around the corner. Many cafes around the corner too. Splendid. Will book this hotel again when im bck.